Today I’m sharing this lovely quilt top made by my Mom. I would like to say I helped…but all I did was hand her a pattern and eat all the chocolate in her house while she made this beautiful quilt. The pattern is Simple Addition, in the throw size. The only plan for this quilt was to use “all the florals”, and it is jam packed with all the florals that I would never think to put side by side. The combo of different florals and colors gives it a beautiful, scrappy, vintage feel that I love. Jane was impatiently waiting for me to take these photos so I didn’t press the quilt top as you can tell…so just pretend all those seams are crisp and flat. My only after Christmas purchase was a new roll of batting. I ran out of Warm and White and someone posted a that this Pellon batting was a doorbuster here (it’s still on a good sale but not a doorbuster). I’ve used it a couple of times now and washed a quilt with it twice…and I LOVE it. It is so soft, so dense, and the quality feels so much better! Since it’s a bit thicker it might be a tiny bit trickier to quilt with on my own machine, but I didn’t notice a difference at all…and it was worth it for the feel and the weight. Anyways, I would highly recommend it (not sponsored I just love it!). They also have a white version that’s a tad bit more, but this one is light enough it doesn’t bother me behind white backgrounds. I’ll leave you with a picture of Jane (almost 8 months old!) I snapped yesterday. Her smile is contagious! Check out Nancy’s Notions; there was a bolt for 59.99 in the catalog. That’s a great deal! I’ll check it out for sure. Jane’s smile is priceless and like you said – contagious! 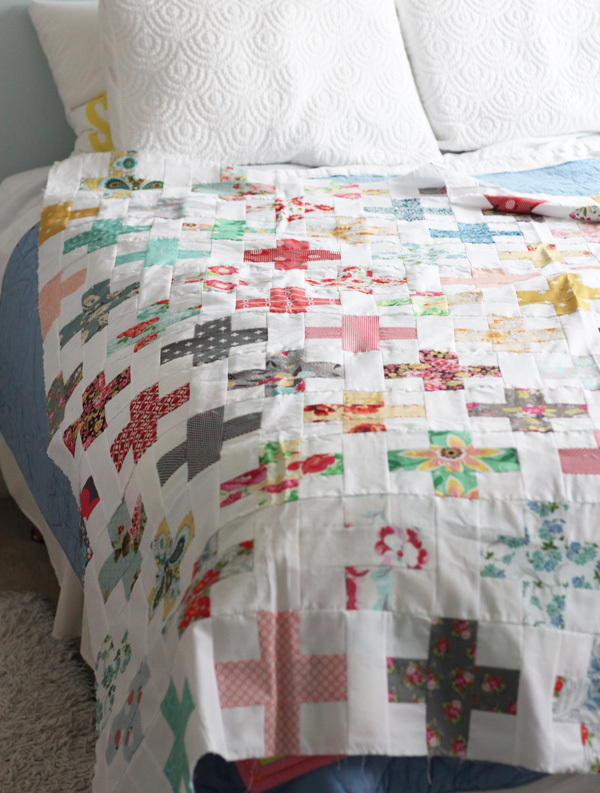 Love the floral plus quilt! I never would of thought to check overstock.com for batting! Thanks for the tip! Not to mention the super cute photo of Jane – what a lovey!! Moms are the best :) Yours did a wonderful job on this quilt job- bravo! Jane must be smiling at the quilt top, both put a smile on my face! How cute is Jane, makes you just want to hug her. 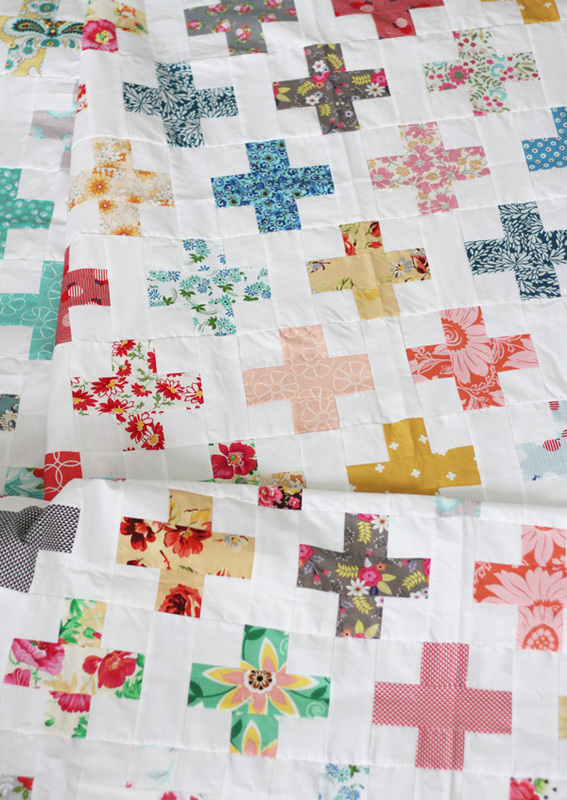 The quilt is beautiful, and I have a lot of floral scraps…perfect. I enjoy reading your blog, it always makes me smile. 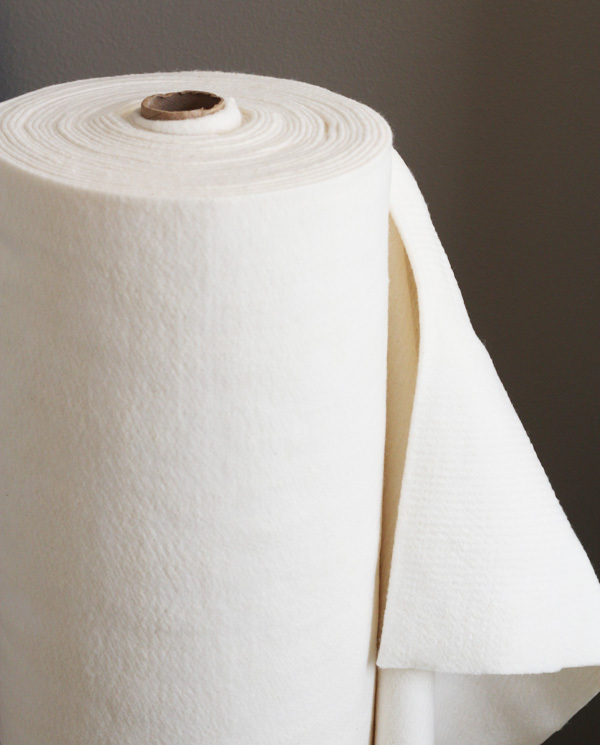 I am very happy to know a great place to buy a roll of Warm and Natural! Jane looks warm and natural, too. What a joy she must be to everyone in your family. I am very glad your family did not end at that sad miscarriage. I’ve been slowly working on a quilt from your pattern. I just love it! My question is on pressing. Do you recommend pressing the seams toward the color fabrics? It should say in the pattern Chris exactly which way to press it so that the seams will nest. For this quilt you will press seams towards the print, and then during quilt assembly you will press seams towards the blocks away from the vertical sashing strips…that way the seams will nest. :) It’s a bit more work since you are pressing towards the blocks/seams, but it’s worth it to get all those seams to nest easily! Hope that helps! What a cute little girl! and tell Diane she did a great job on that lovely quilt! There aren’t a lot of truly scrappy quilts (not a prepackaged fabric selection) that I would want to make but this would definitely be on the list. I love the visual texture of it and how the background becomes part of the pattern and not just the “glue”. What a precious baby girl! I bet she loves to play with your quilts! Such a fun age. Adorable quilt! I’ve been hesitant to make one, and maybe I will now that I have seen yours. I saw some Warm and Plush today. It feels so nice and thick, but it was $9/yd. at this store. I will ck our your brand. Thank you for the smile. She is a doll!! Yes $9 is a lot….luckily you usually only need a couple of yards though. I usually try to find good sales before I find batting! Hope you are doing well! I love it. Your momma made a gorgeous quilt. Jane is very very cute. She looks happy and yes, her smile is just adorable. My kids (and I) all raid the pantry at Grandma’s house…and the freezer…there is always cookies in the freezer! :) Thanks for visiting! Thanks for the batting recommendation! I just ordered a roll. Jane is adorable and I love your mom’s quilt! I think you will love it…I have been so impressed by the quality and I’ve tried a lot of battings! 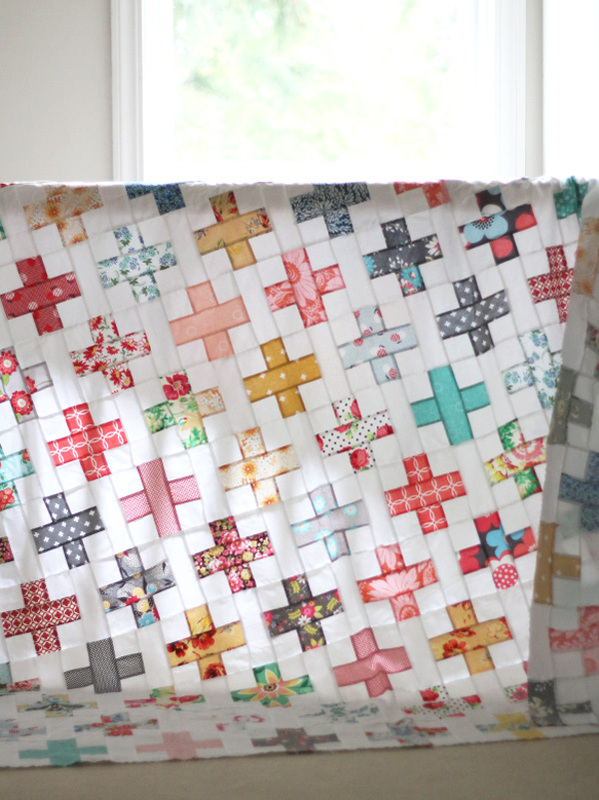 I love the vintage feel of this pretty quilt – your mom did an excellent job with fabric selection. And that batting……I was going to ask what it was – thanks for the resource! 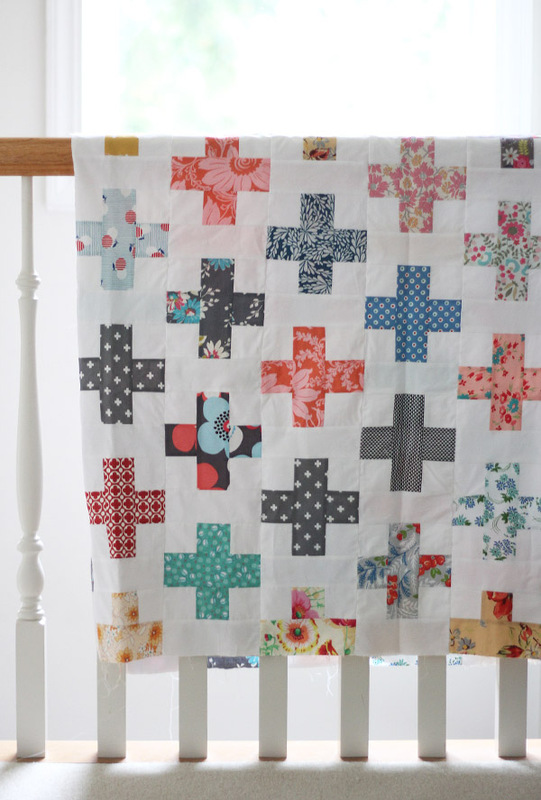 Lovely scrappy vintage looking quilt…. I still think Jane looks like her oldest brother! Love the quilt. However, it’s not as cute as your darling daughter. Soooo cute. Jane is just precious! Working on your heart quilt right now! Thanks so much for the pattern! arghhh, you and your Mom are ruining my New Years resolution to not start anything new until I get my WIPs under control !! Love the quilt and YES, Janes’ smile is sooo contagious :)))))) what a cutie ! Thank you Cindy! Hope you are doing well!! You are so funny! Love the quilt, but especially love that smiley baby! Enjoy her….our first “baby” is 24 today…time goes fast! I love Pellon batting! I’m glad to hear that you do too. I can always find it cheaper than Warm and Natural. Love the quilt and we all need contagious smiles right now. Thanks! I had no idea Overstock sold batting! Question on batting, I am doing your scrappy summer quilt and wanted to know what batting you used on that one. I loved the way it looks so soft and cuddly. So fun! I just found the same batting here: https://www.walmart.com/ip/Pellon-Nature-s-Touch-Natural-Blend-80-20-Batting-96-Wide/38571009 for $28 for a 9 yard bolt where Nancy’s Notions had it for $49.99. Would Nancy’s be a better quality bolt though? I bet they are the same exact thing…usually they come already pre-packaged from the company, the stores just ship them! Thanks for the resources! I love this quilt so much! I have a ton of random floral prints I don’t really love anymore, I’m thinking I’m going to give this quilt a go, what a great idea!